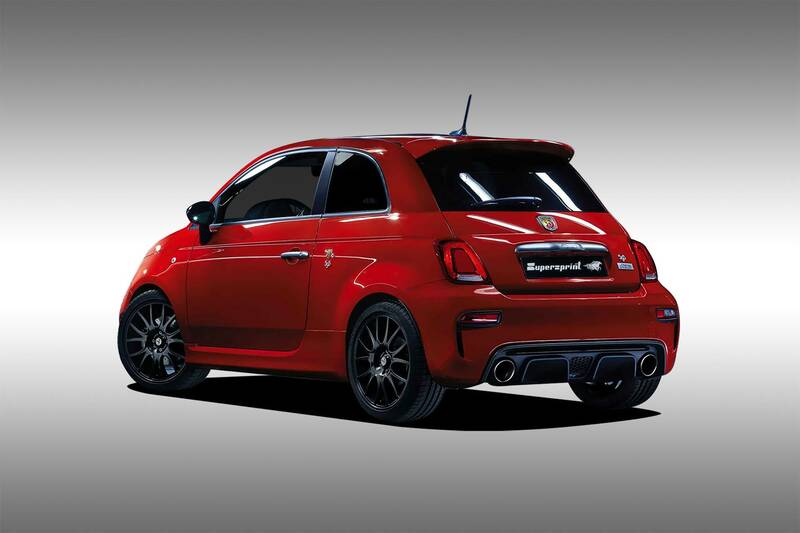 The Supersprint exhaust for the 2016 Abarth 595 "Pista" is the most effective, performance enhancing add-on for this limited edition model. 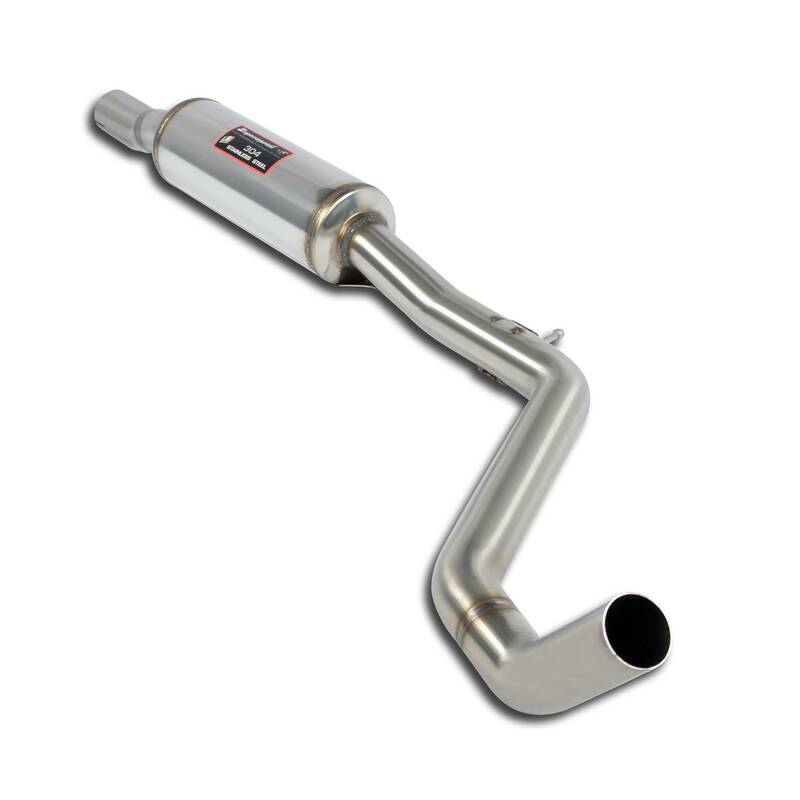 It guarantees more power and torque, a great sound, with less overall weight altogether. 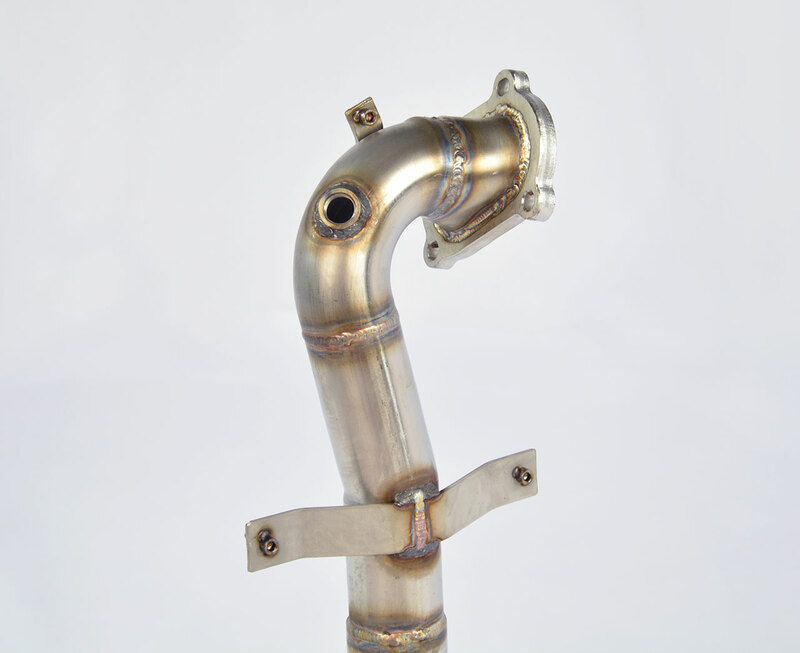 It has been designed and made available in multiple options, in order to suit distinct, specific performance steps. 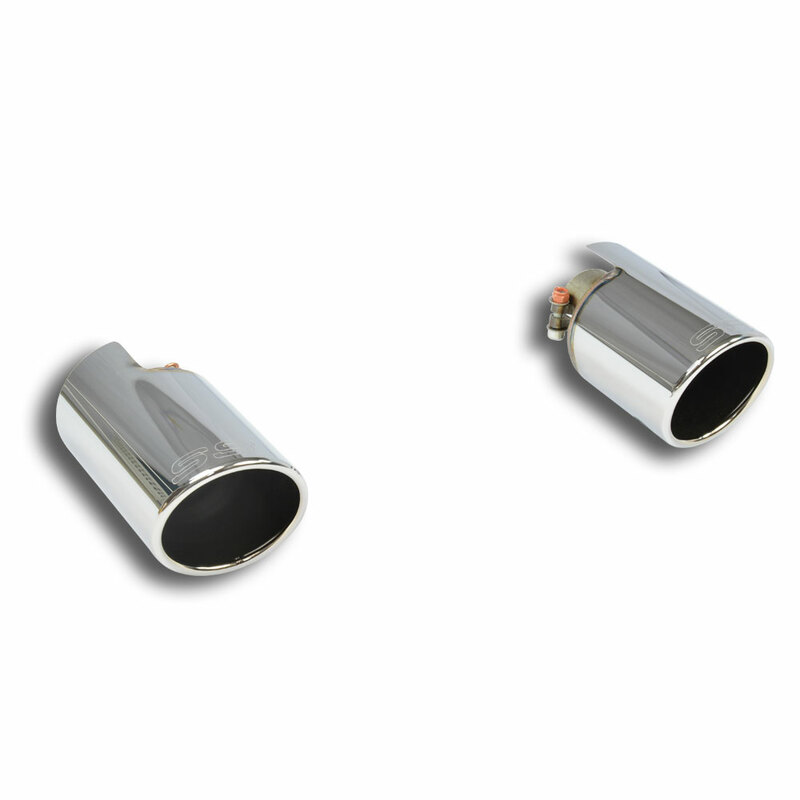 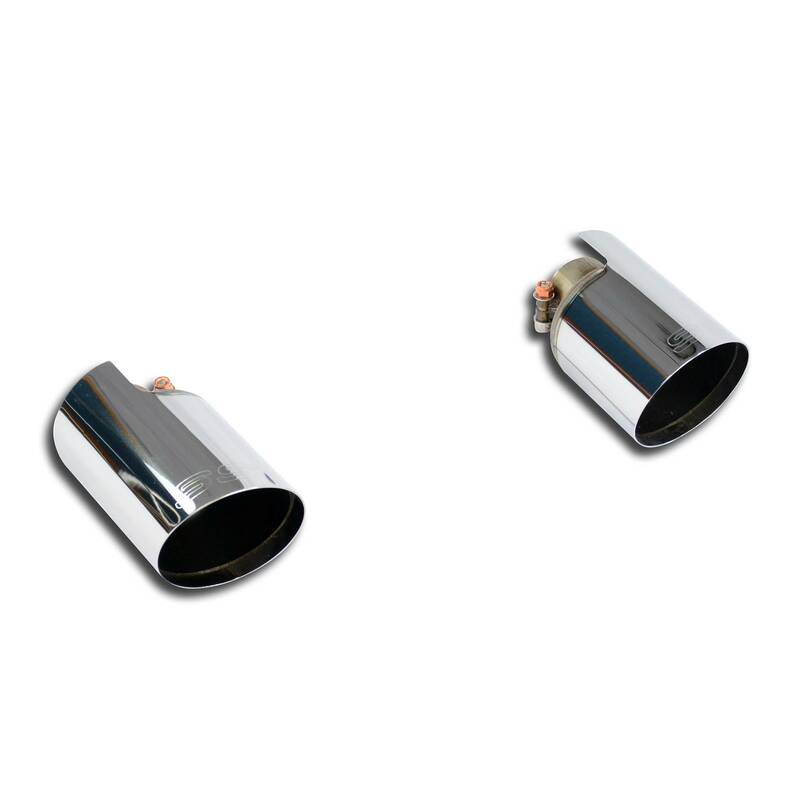 The 57mm diameter exhaust is sized for tunes up to 220 Hp, while the larger diameter, 65mm system is specifically suited to more radical conversions, up to 280 Hp. 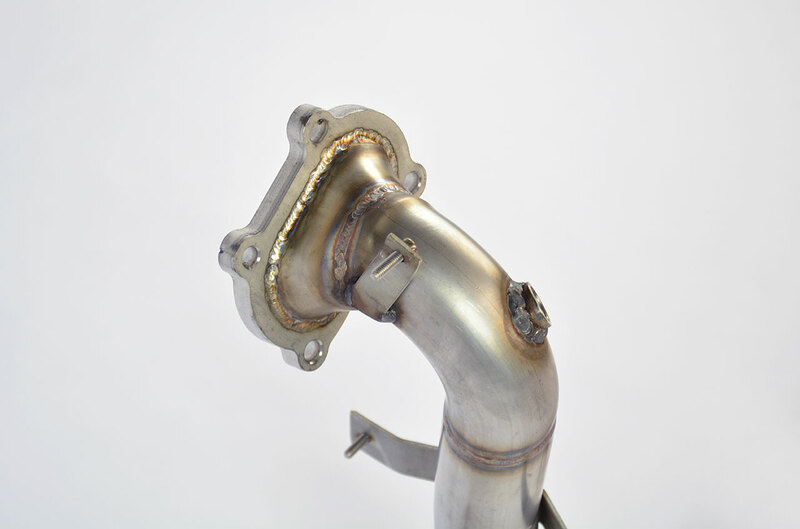 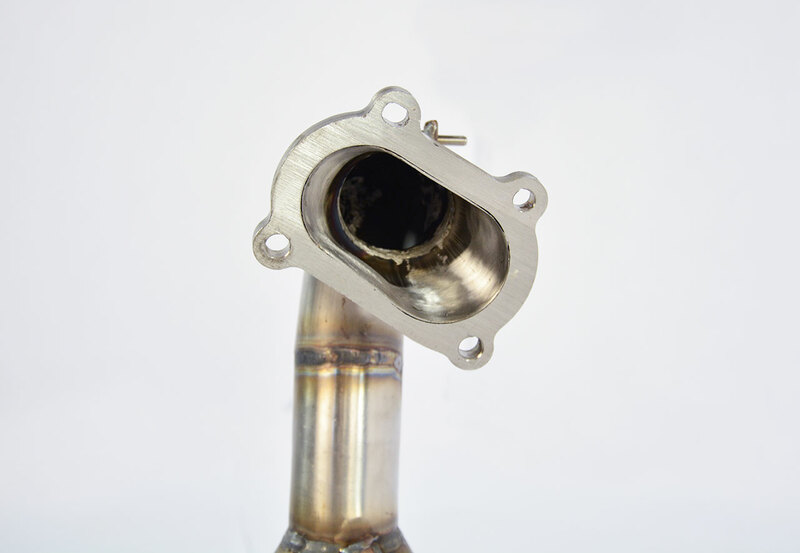 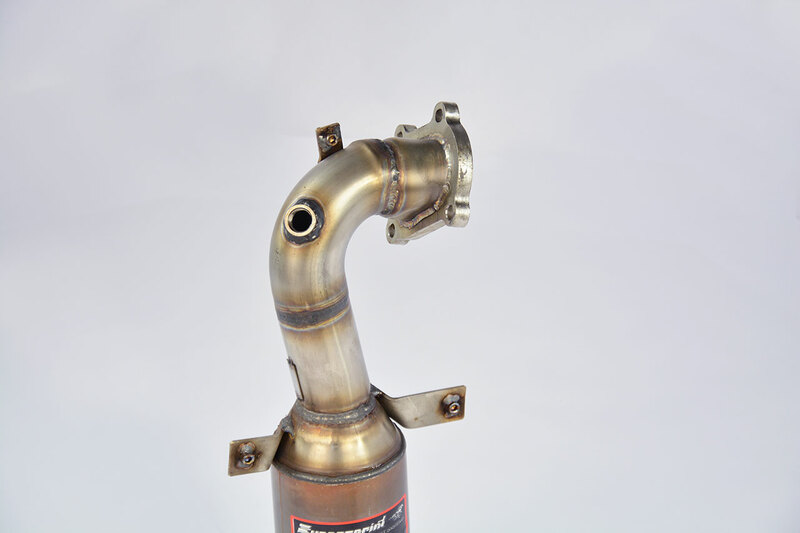 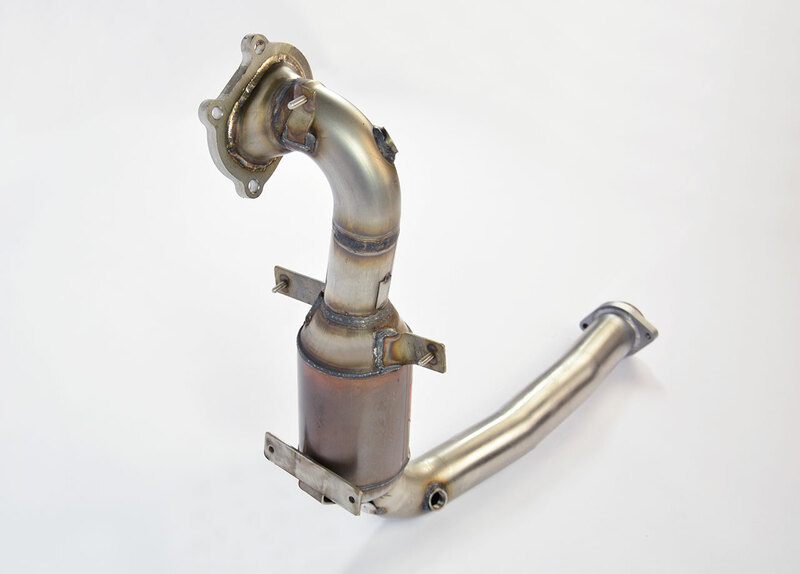 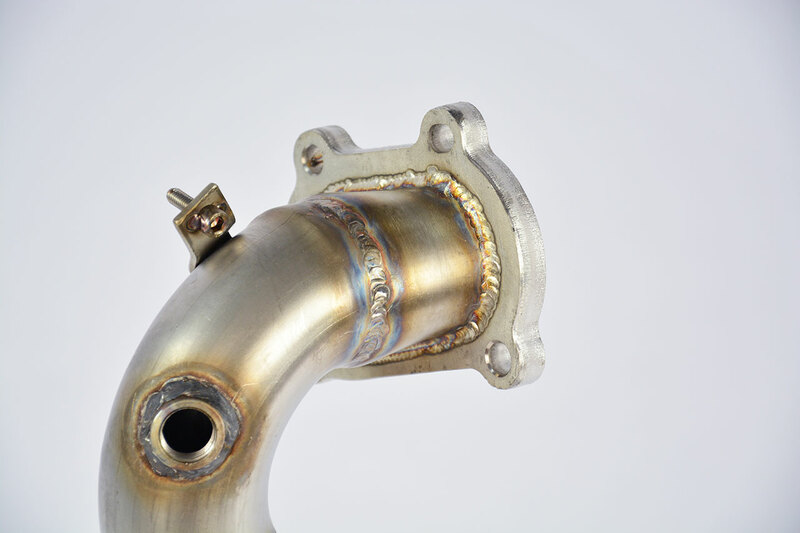 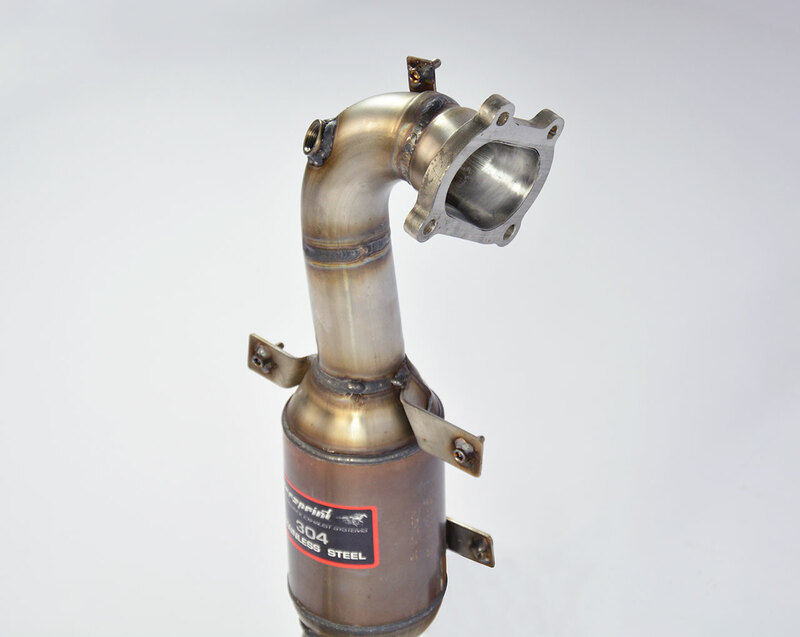 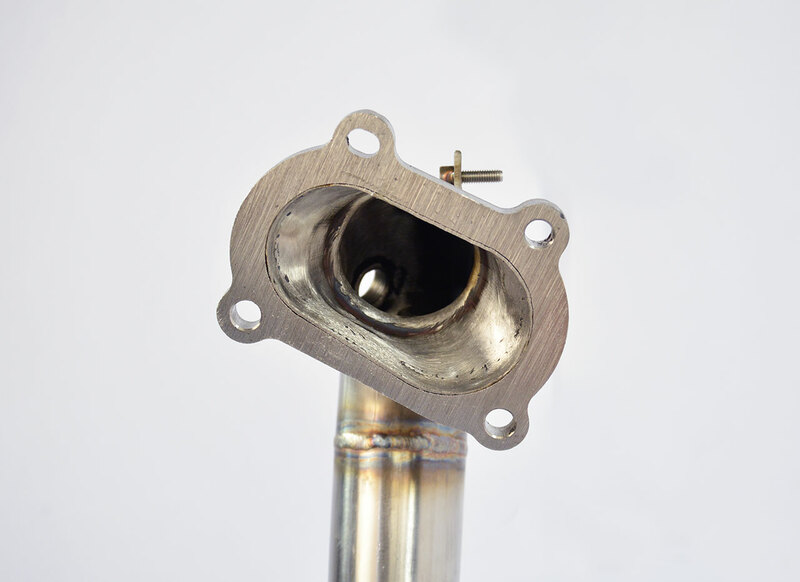 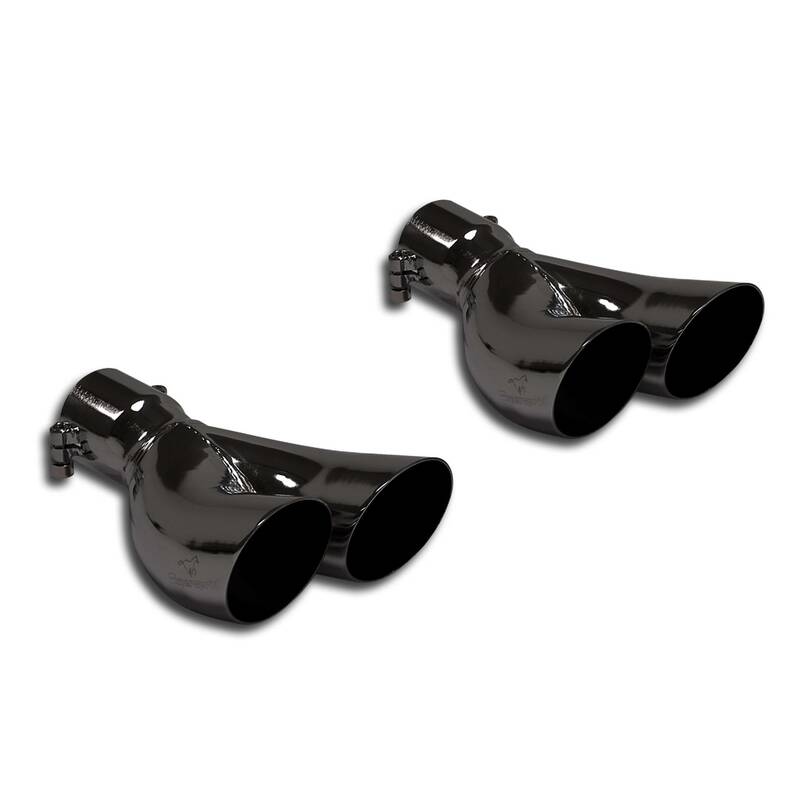 We even offer specific downpipes for turbo conversions to the Mitsubishi TD 04 and other kits, such as the GTO. 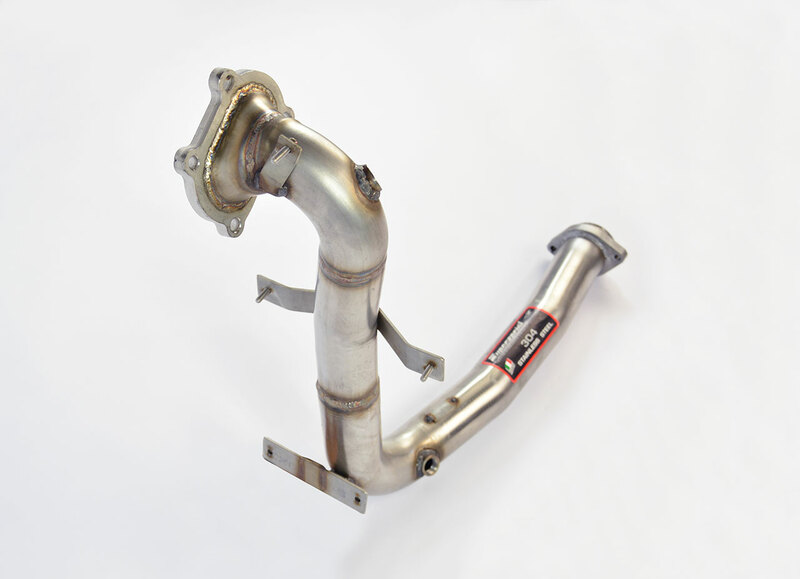 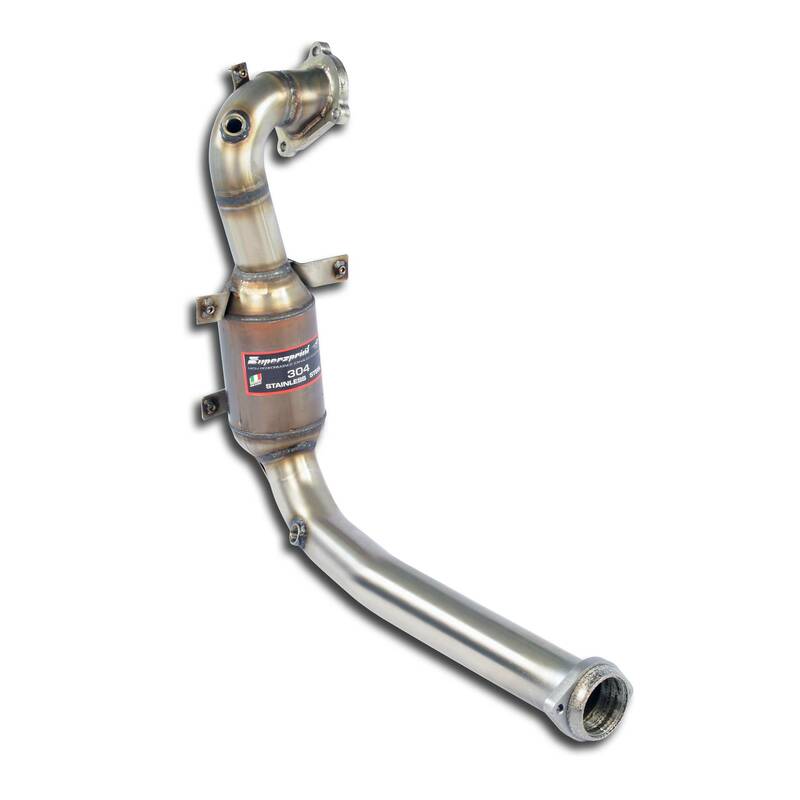 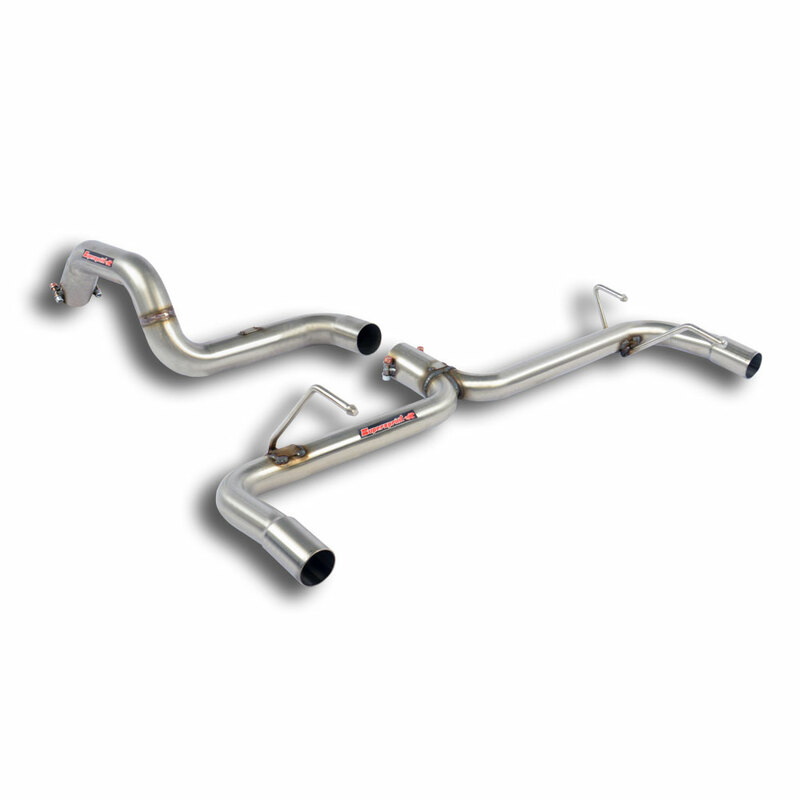 On all of these Supersprint systems, the constant-radius bends of the Turbo Downpipe make it the key component for the increased performance. 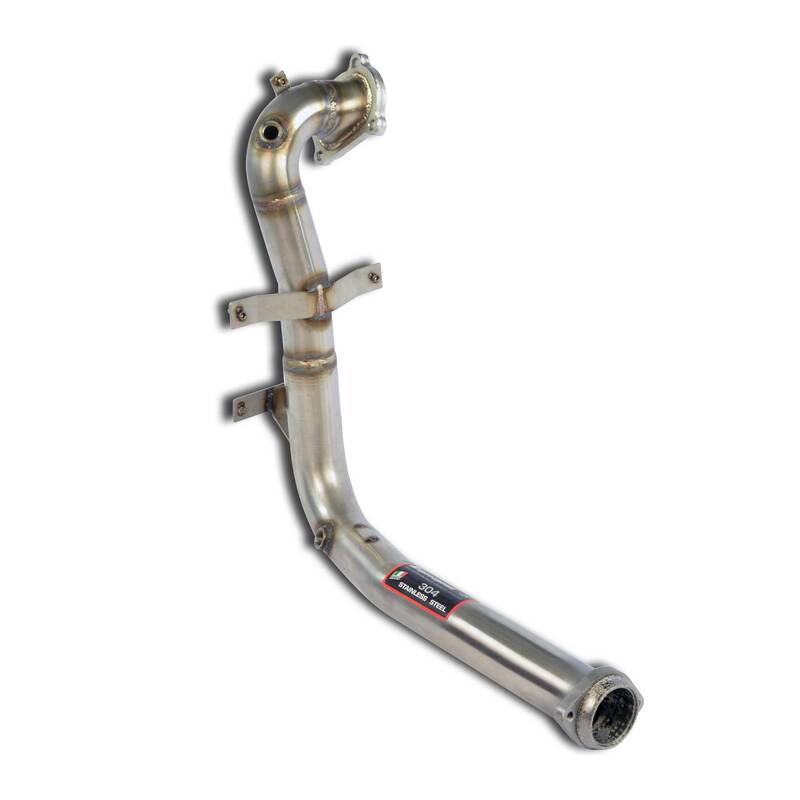 Thanks to the smooth, seamless layout, to the progressive merge cones, and to the HJS Motorsport High flowing catalytic, the Supersprint Downpipes guarantee the lowest exhaust gas backpressure possible, yet they allow for the maximum efficiency in reducing the pollutants. 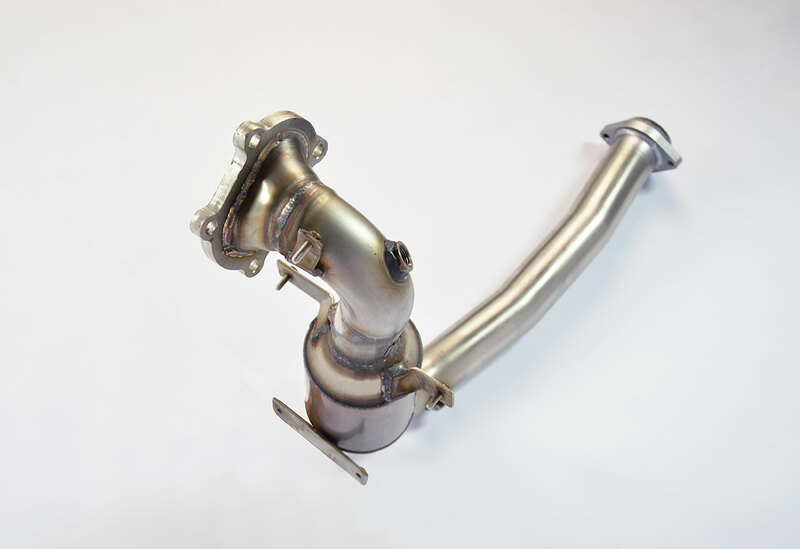 They also provide for a higher boost pressure, and lower operating temperature, with reduced thermal stress on the turbocharger. 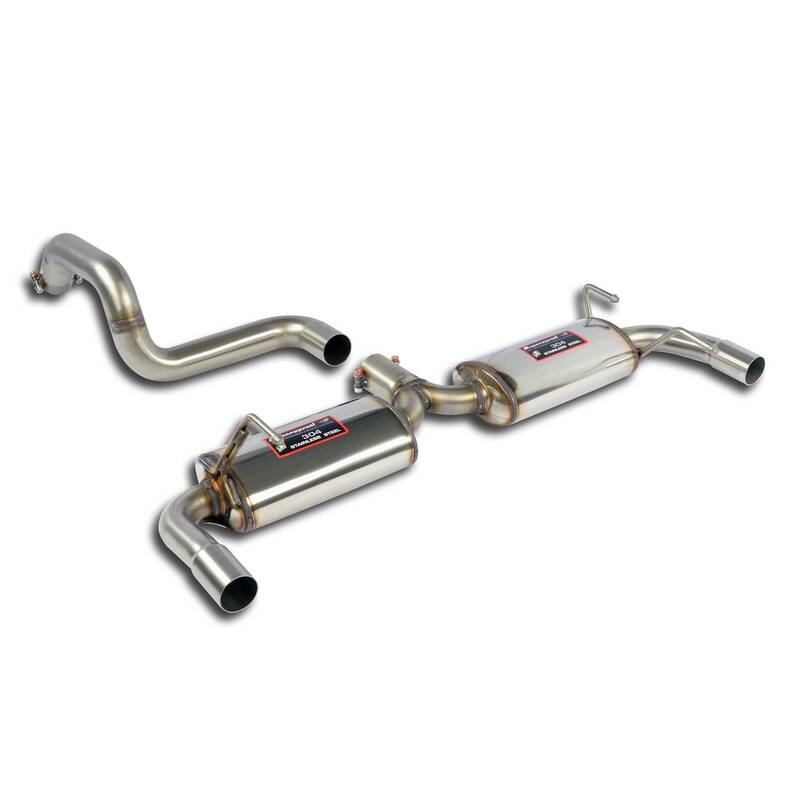 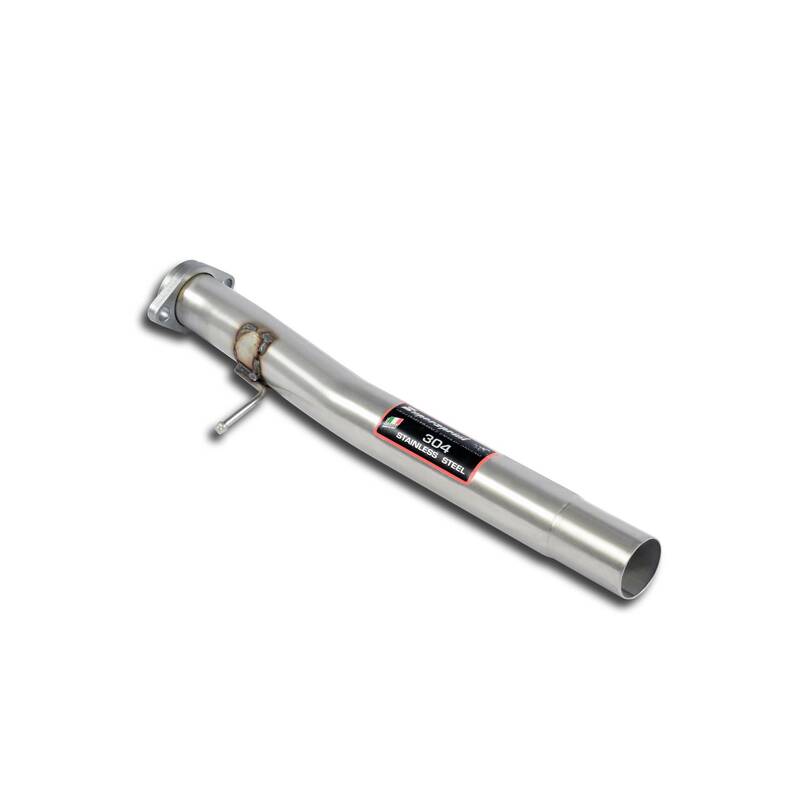 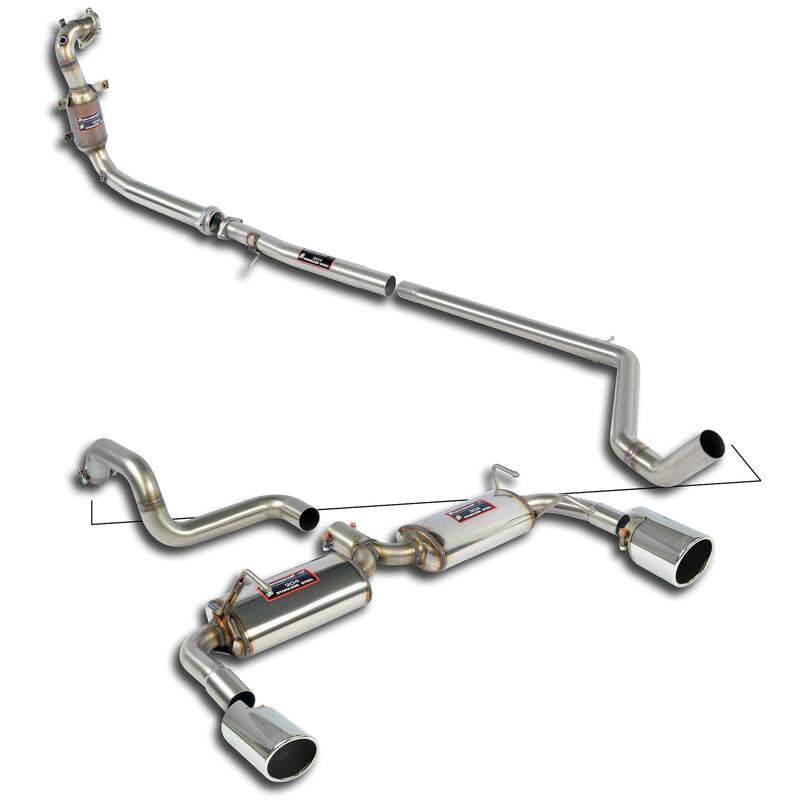 The Supersprint complete exhaust systems are tuned to make the best gains in both low and midrange torque, and in peak hp as well. 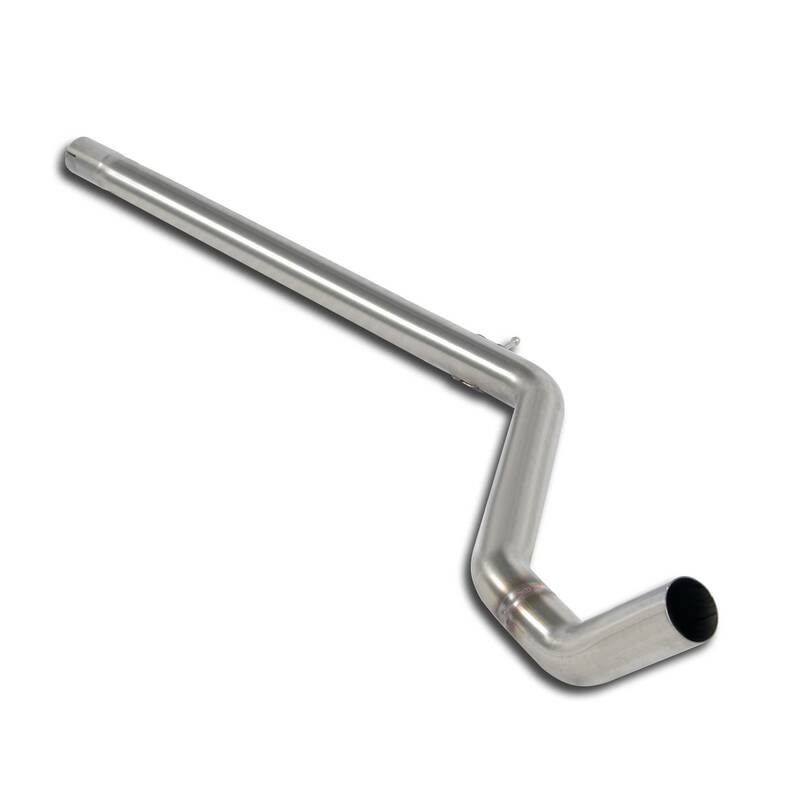 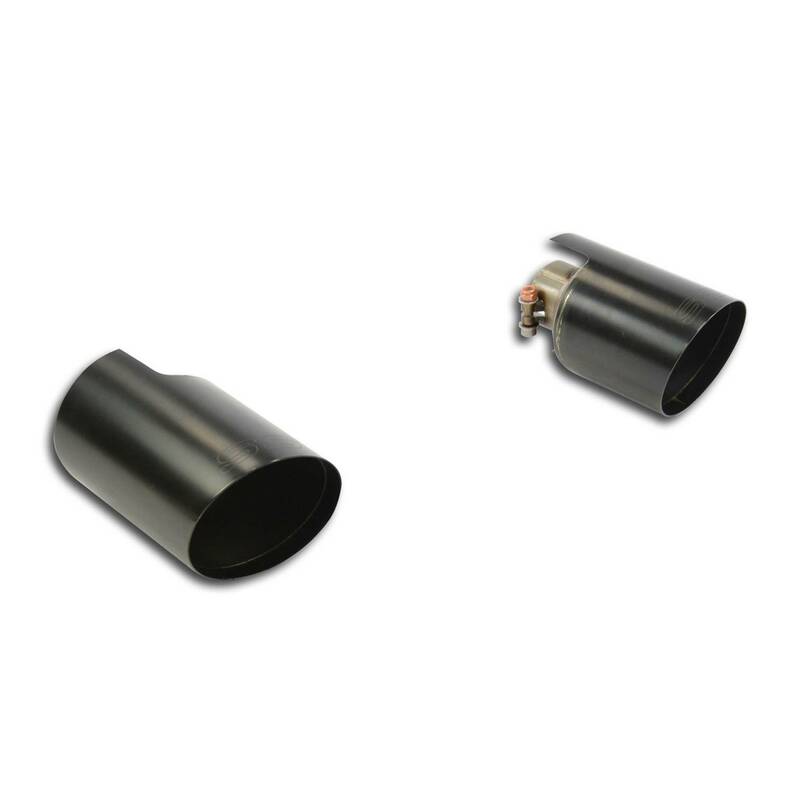 The proprietary rear silencer design provides for an equal, symmetrical discharging rate out of both the right and left side exhaust branches. 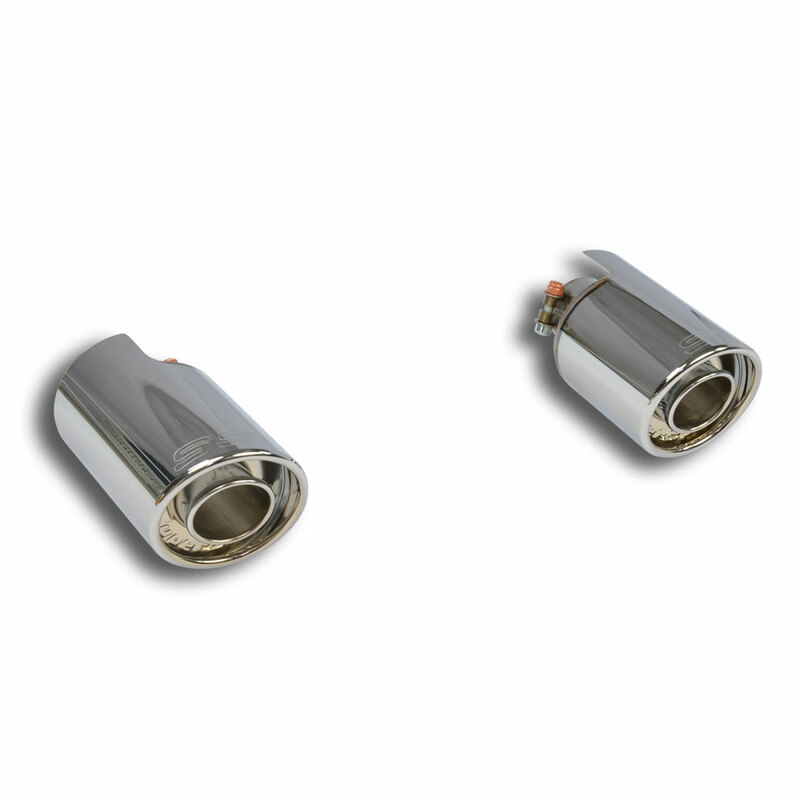 The exhaust gas escapes for each of the tips at the same velocity. 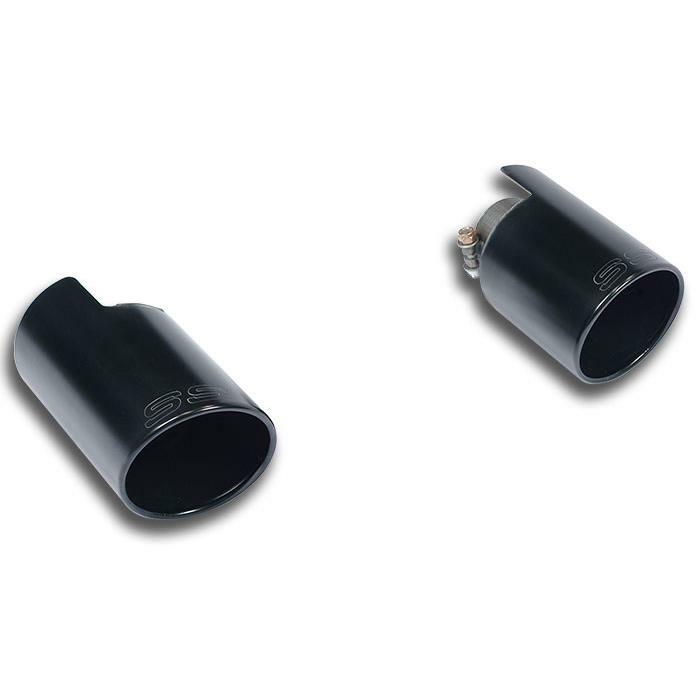 We offer multiple options on each of the individual components, for tunable sound levels and custom styling, thanks to the wide range of our unique tail tips. 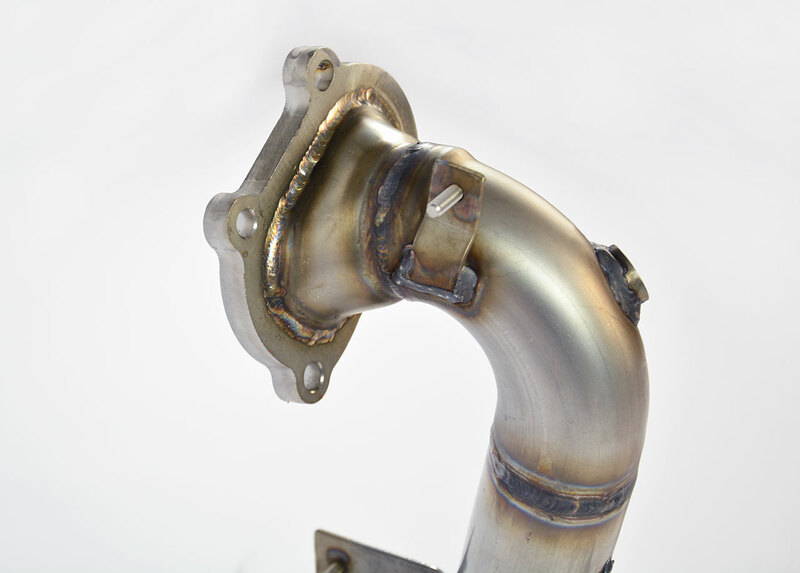 Installation, fit and finish are spot-on as usual.